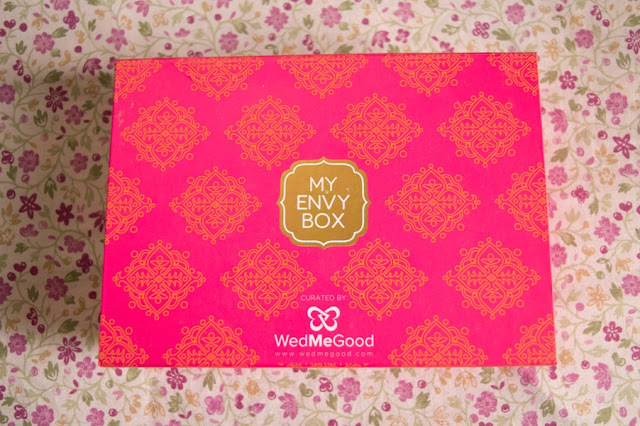 Last month's Envy Box was a wedding special box in collaboration with Wed Me Good, a website/app which focuses on all your wedding related needs right from outfits, venues, photographers and much more. 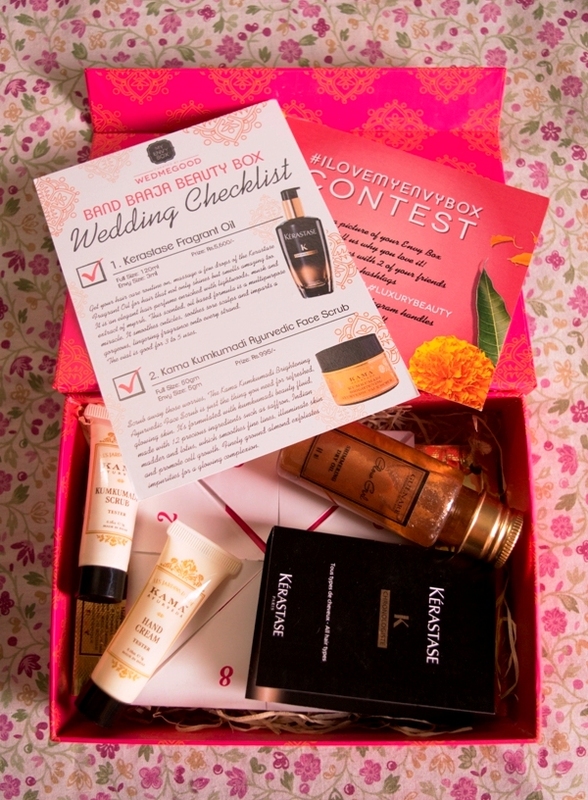 The bright pink box was decorated with a orange motif and came with some nice beauty products but unfortunately some samples were too small and most of the products were from Indian companies. 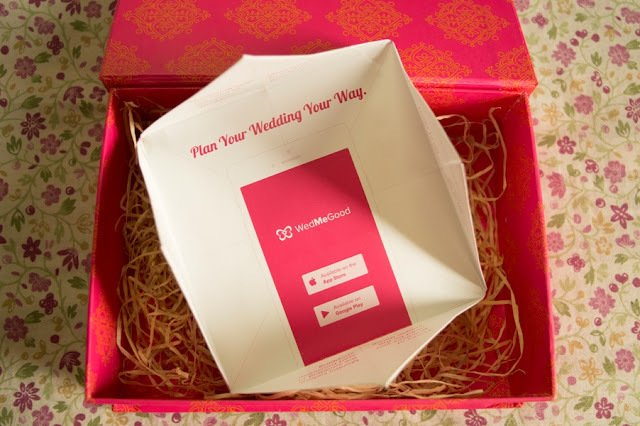 The box came with a cute origami inspired card by Wed Me Good which had a checklist of things for a bride to do before the big day. I actually checked out Wed Me Good's site and was really impressed with the way it's organized and how helpful it is for a bride to be. And even though I have no plans or (love) interest to get married anytime in the near future, I actually spent a lot of time on the site checking out bridal outfits. 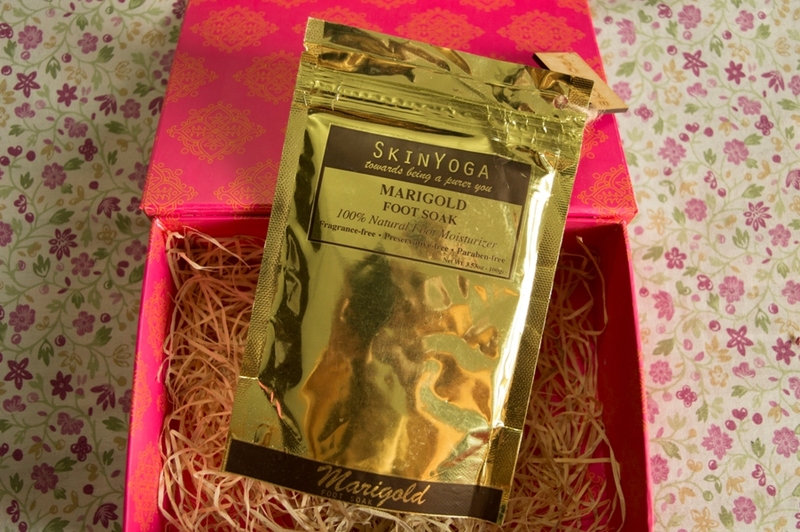 The first full sized product in the box is the SkinYoga Marigold Foot Soak. I haven't tried it yet but I like the concept as foot soaks aren't easily available here in India. The marigold flower works as an excellent coolant to bring down body heat and soothes and de-tans sun burnt feet. The sea salt relaxes tired muscles and removes dirt while coconut reveals softer, moisturized and well-nourished feet. The second full sized product in the box is the Gulare Glow Girl Shimmering Dry Oil which a is lightweight and moisturizing vanilla scented oil that gives your skin a bronzed look with a hint of shimmer. I quite like this product and would love to use it on a beach holiday. 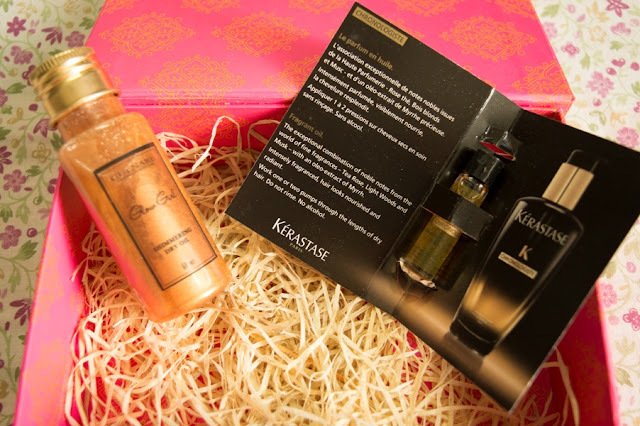 It also had a tiny sample of Kerastase Fragrance Oil which soothes the scalp, acts as leave in conditioner and gives hair a beautiful shine and fragrance. I haven't tried this one yet though. 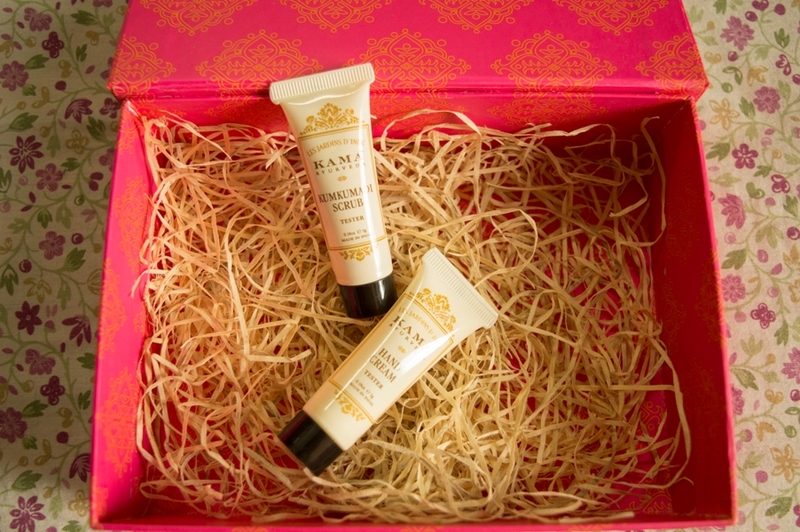 And lastly, there were two samples from Kama Ayurveda, one hand cream and the other is the Kumkumadi face scrub. Both products are really nice but I just wish they were slightly bigger in size. Interesting box) Unknown brands for me! I've heard about these! So cute.